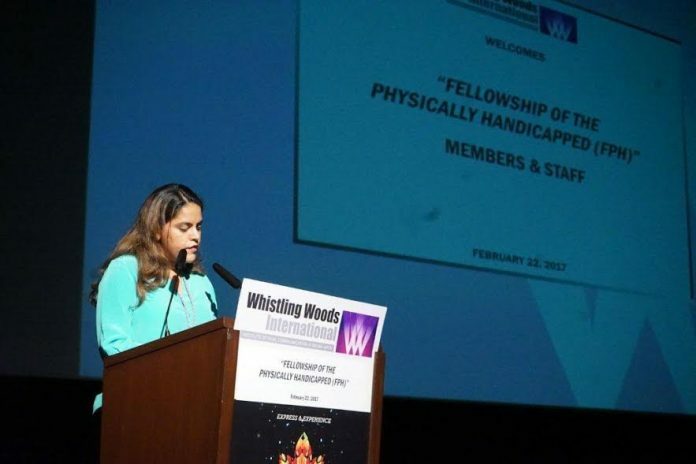 Mumbai: Whistling Woods International (WWI), Asia’s premier Film, Communication and Media Arts institute, dedicated an entire month towards the theme ‘Be the Change’, which aimed at spreading awareness about the special needs of differently abled people. 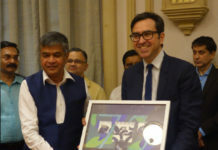 The film & media institute, situated in the heart of Mumbai, has always believed to have a key role in the social welfare of the city, and an ethical responsibility towards the environment. Through its course of operation, WWI has proudly associated itself with several NGOs such as, Salaam Baalak Trust, Organ India, Laadli – A Population First Initiative and Aseema among others for the welfare and development of the lesser privileged. With the aim of giving back to the society as responsible global citizens, students are encouraged to not limit their learnings to their curriculum, but much more. Following the tradition, ‘Be the Change’ as a part of the institute’s CSR activity, saw more than 130 members from the ‘Fellowship of the Physically Handicapped (FPH)’ gracing the occasion with their presence, as they visited WWI campus. One of the key highlights of the special week was a panel discussion, in association with Varija Life titled ‘Recognising Ability over Disabilities’, to understand the special needs and abilities of physically and mentally challenged people. The esteemed panelists included educationists like Varija Bajaj, Founder, Varija Life, Geeta Castelino, Head CSR, Welingkar Institute of Management & Research, Rabiya Nazki HOD, Producing, Whistling Woods International, Shama Sikander, Actor, Paras Sharma, Clinical Psychologist, The Tata Institute of Social Sciences and Somnath Sen, Director Outreach and Affiliations, Whistling Woods International. With over 200 students in attendance, the panellists shed light on the need for a sustainable change in the society, and how the society at large must realise and come forward to acknowledge and contribute towards the development of the lesser privileged section of the society. From woman empowerment to child welfare, organ & blood donation to drug abuse, tree plantation drive to clean India campaign, gender sensitisation to educating the underprivileged students, it is admirable to see WWI students, faculty and staff synergise to address social issues put together for several noble causes. The various CSR initiatives enlighten students & staff to be responsible and global citizens of the world at large.